PHOENIX – It’s a Saturday morning in downtown Gilbert, and, for September, temperatures are still sweltering. The sun beats down as a local farmer’s market sells homemade jams and families walk their dogs. The buzz of couples chattering over brunch can be heard from the sidewalk. 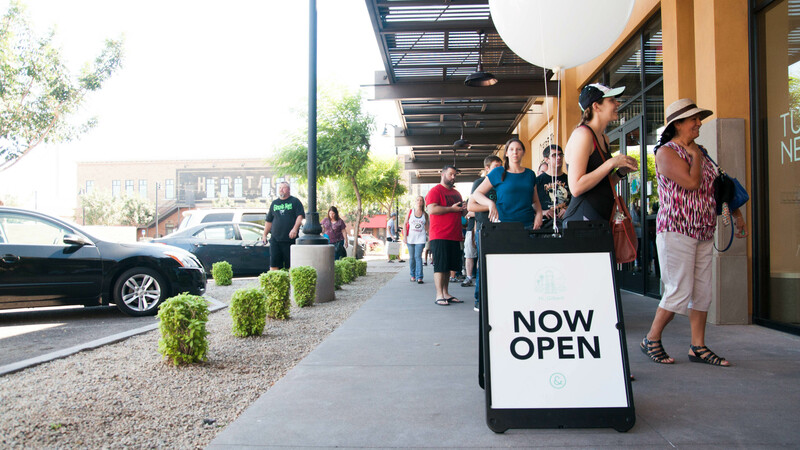 But, tucked just behind the restaurants that line Gilbert’s Heritage Square, people line up to be one of the first 100 customers to claim a free Tuft & Needle pillow at the grand opening of its fourth brick-and-mortar location. Suburban Gilbert doesn’t resemble the hoodie-clad, tech-savvy millennials that fill Tuft & Needle’s headquarters, located about 20 miles away in downtown Phoenix. The crowd is a congregation of middle aged and grey haired people, accompanied by children playing as they wait for their turn to enter the new storefront. 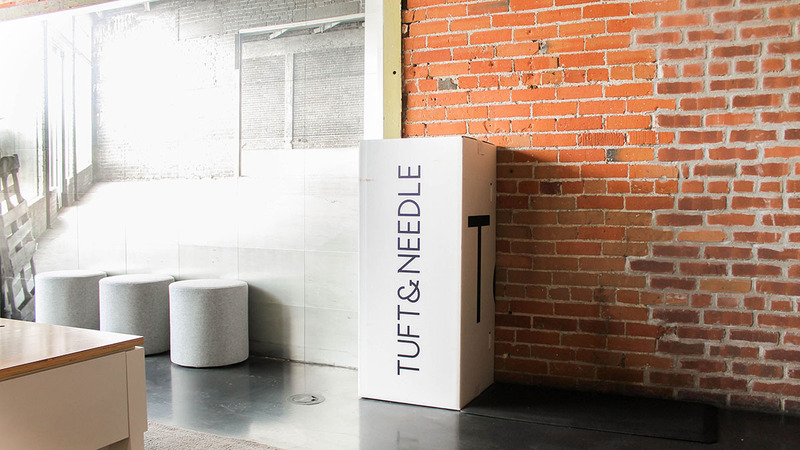 The majority of Tuft & Needle’s marketing is encompassed by defiance of traditional norms in mattress sales, including high pricing and use of materials deemed unnecessary.  In addition, its self-proclaimed “disrupt” of the mattress industry was initiated by a unique and unseen business model: online exclusivity. 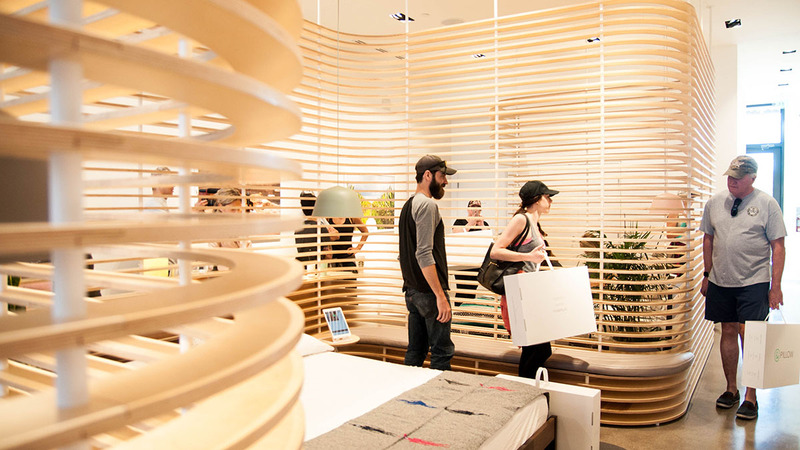 Tuft & Needle’s decision to incorporate brick-and-mortar retail spaces may be perceived as retraction into the methods used by mattress companies before it, but according to Daehee Park, co-founder of Tuft & Needle, it is an extension. 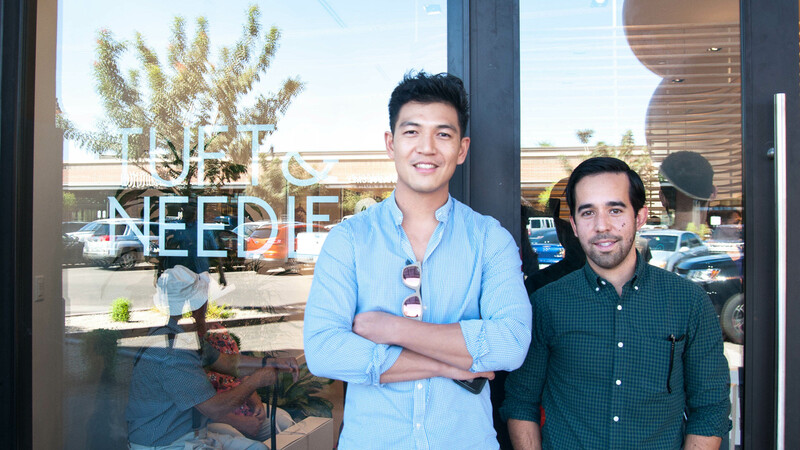 Tuft & Needle, which Park founded in 2012 with fellow Penn State alumnus JT Marino, is based in downtown Phoenix off Grand and Seventh streets. 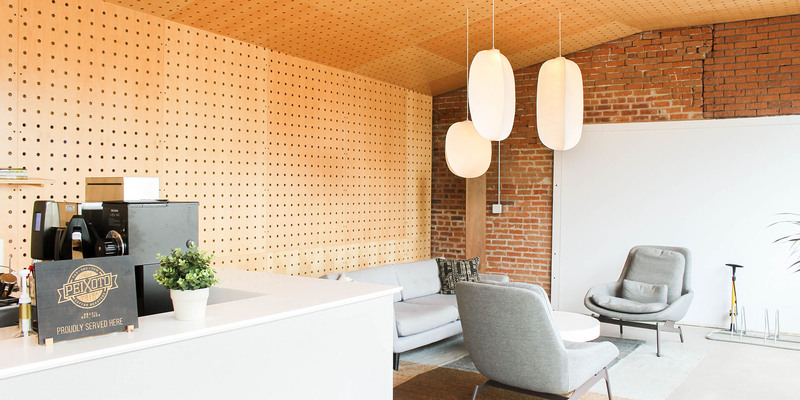 The company sold mattresses exclusively online until the opening of its first retail space in San Francisco’s SoMa neighborhood in summer 2015. The company sets its prices below that of its competitors, ranging from $325 for a twin to $700 for a California king. After averaging the prices of 55 twin and 77 California king mattresses on Mattress Firm’s website, the retail giant’s average price for a twin is $671 and the average price of a California king is $1685. Tuft & Needle offers one type of mattress, made of its own patented material dubbed “T&N Adaptive Foam” and a base layer for support. The company describes its model as universally comfortable. It emphasizes the mattresses don’t have springs, memory foam or latex, which Park insists are unnecessary. Mattress manufacturing is an $8.7 billion industry. According to a July 2017 report from industry analyst IBISWorld, 75.3 percent of market shares in mattress manufacturing are dominated by three companies: Serta Simmons Bedding LLC accounts for 32.1 percent, Tempur Sealy International Inc. holds 27.2 percent and Select Comfort Corporation holds 16 percent. Mattress Firm, a leading retailer in the mattress market that is repeatedly condemned by name in Tuft & Needle advertisements, recently launched a campaign titled “Don’t Get Boxed In,” a reference to the boxes that online mattress companies’ products arrive in. On Oct. 16, Mattress Firm Inc. filed a lawsuit in the U.S. District Court for the Southern District of Texas against Tuft & Needle on the grounds of trademark infringement under the Lanham Act. Enacted in 1946, the act places a ban on infringement of trademark, as well as false advertising. 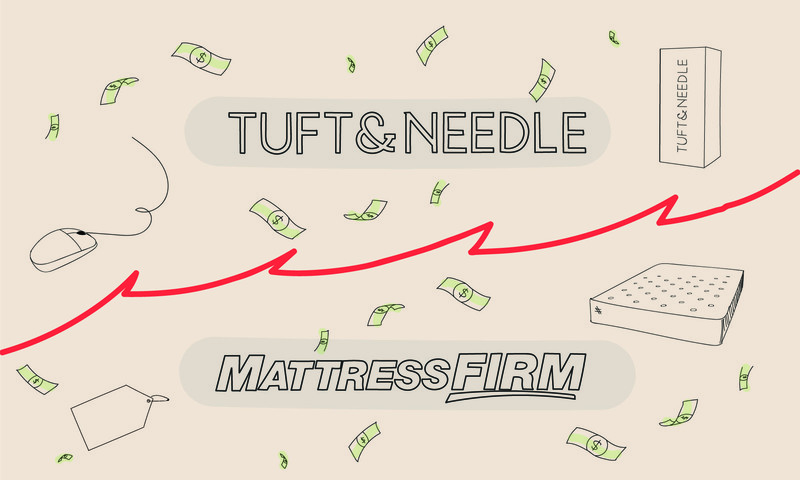 According to the lawsuit, Mattress Firm alleges that Tuft & Needle used its likeness for a variety of advertising campaigns, including using and modifying the Mattress Firm logo to display statements such as “Mattress Goliath” and “Mattress Bet,” the latter in reference to a campaign in which customers are reimbursed and paid an additional $100 if they decide to return their Tuft & Needle mattress and purchase at Mattress Firm instead. “There is no question that the sole purpose of Tuft & Needle’s pervasive scheme to bait customers with Mattress Firm’s name and then redirect them to false advertising is to deceive consumers in the marketplace and unfairly influence their purchasing decisions,” the lawsuit elaborates. The advertisements for Mattress Firm’s “Don’t Get Boxed In” campaign were on light rail vehicles in Phoenix, as well as on the station platforms. Blakemore described this as a response to Tuft & Needle’s advertising being extremely prevalent and conspicuous in the area prior to this campaign. In contrast to Tuft & Needle’s single-mattress option, Mattress Firm offers models from different affiliated brands, as well as its own house brands, one of which is a bed-in-a-box model. 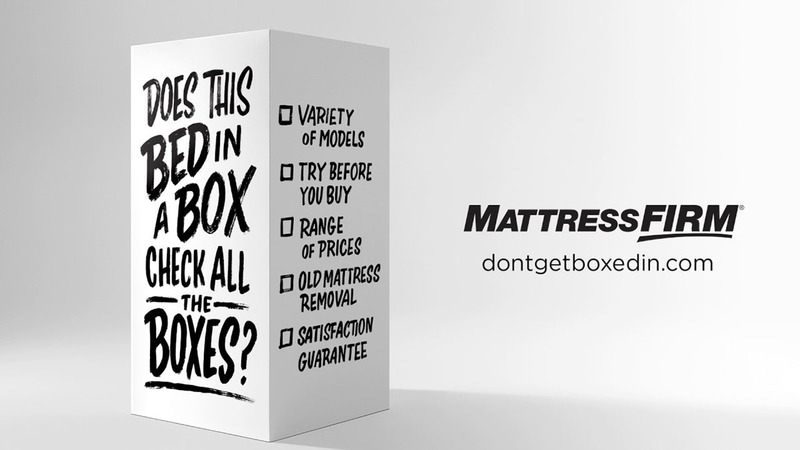 Mattress Firm’s “Don’t Get Boxed In” campaign condemned mattress companies that are in the bed-in-a-box category of the market. In its lawsuit, Mattress Firm describes itself to be in the same bed-in-a-box category as Tuft & Needle. “As a participant in the bed-in-a-box sector, Mattress Firm welcomes fair competition and believes in the consumer’s right to product information and transparency,” the document reads. 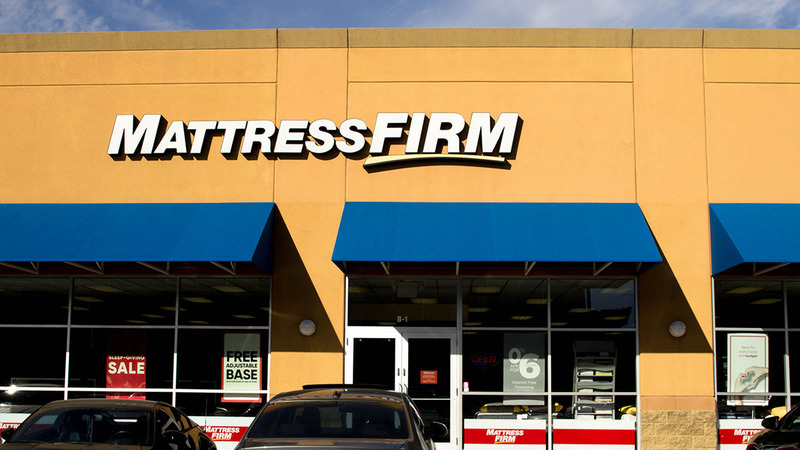 Mattress Firm wishes to receive Tuft & Needle’s profits as damages. 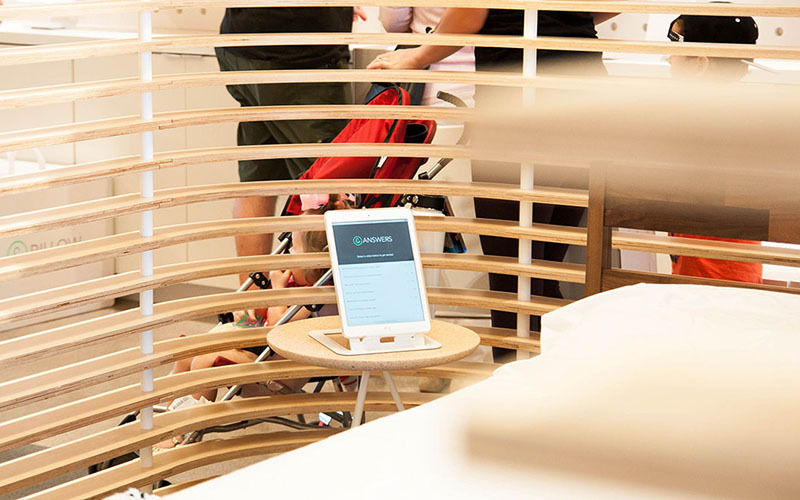 Opening up storefronts has not been the sole method of extending to brick-and-mortar for the digitally native mattress companies that followed Tuft & Needle. 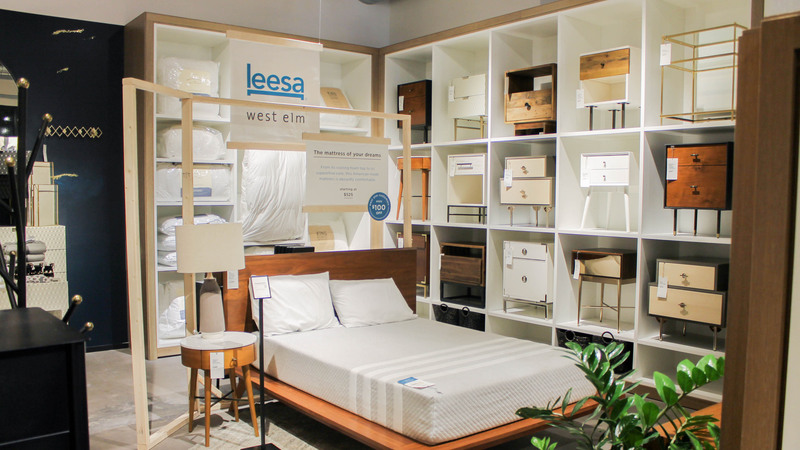 Leesa, for example, has begun to retail in West Elm furniture stores as of September, Casper, which is pursuing in-person retailing at Target stores. Casper declined to interview for this story, and Leesa did not respond to requests for comment. “So many businesses are figuring out ways not to have storefronts, but showrooms,” said John Eaton, a clinical professor of marketing at the W.P. Carey School of Business at Arizona State University. He cited this shift from digital nativism to brick-and-mortar as a marketing strategy, comparing Tuft & Needle’s showroom to a billboard. “They pass it, they drive by it every day, and then eventually they will become curious and go in,” he said. Eaton cites automaker Tesla’s showrooms, often found inside of shopping malls, as a similar example to Tuft & Needle’s model. Whether a mattress or a luxury vehicle, both offer showroom models, but when it comes time to make a purchase, the consumer is prompted to order online. 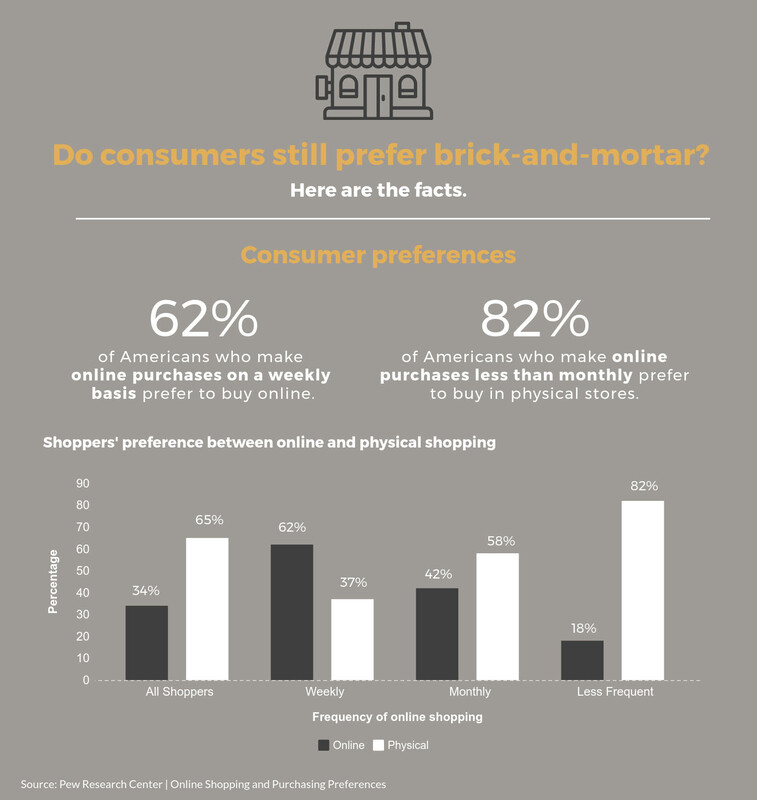 Statistics from the Pew Research Center on consumer preferences in online shopping show there is an association between frequency of online purchases and whether or not the consumer prefers to buy online, citing that 62 percent of weekly online shoppers prefer to buy online, while 82 percent of those who purchase online less frequently prefer to shop in-person. The report also indicates that eight in ten Americans are online shoppers. Park describes Tuft & Needle’s brick-and-mortar stores as an “educational experience,” citing the ability to interact with the product as one of the reasons for digital and in-person omnipresence. The design of these storefronts defies traditional retail space as well, offering semi-private rooms for customers to test out the mattress. The naturally lit space at its downtown Phoenix location offers an airy and minimalist atmosphere, a design that is coherent across all of its stores, as well as its headquarters, which shares a building with the downtown Phoenix retail location inside a historic building on Grand Avenue. As part of their training, retail employees must go to a traditional mattress store and create a “hate list” of aspects of mattress retail they did not like. 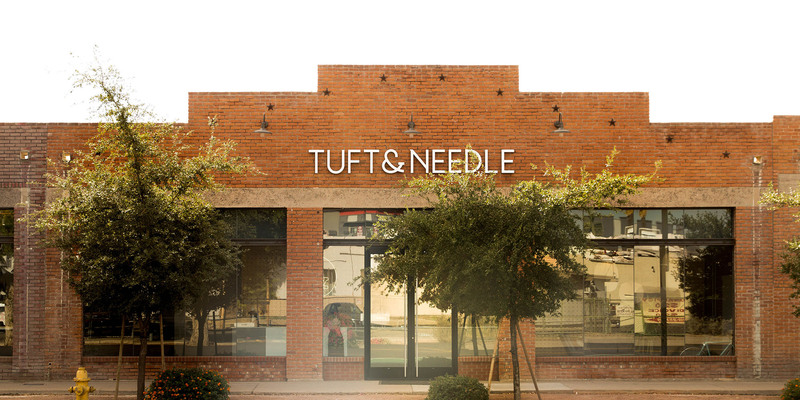 In the Tuft & Needle store, they interact with the customers in a casual and conversational way and do not make commission. “It is essentially an anti-mattress store,” Park said. When asked if Mattress Firm’s description of Tuft & Needle as “aggressive” was accurate, Park smiled.